To celebrate our 100th brew (and our 10th Double IPA), we wanted to create a luxurious beer that’s rich in flavor and flush with hops. Dry-hopped with Cashmere and Mosaic, the only name befitting this extravagant libation is…..
*select Dinner specials at #peppercorns= discounted beer purchase @ e brewery. 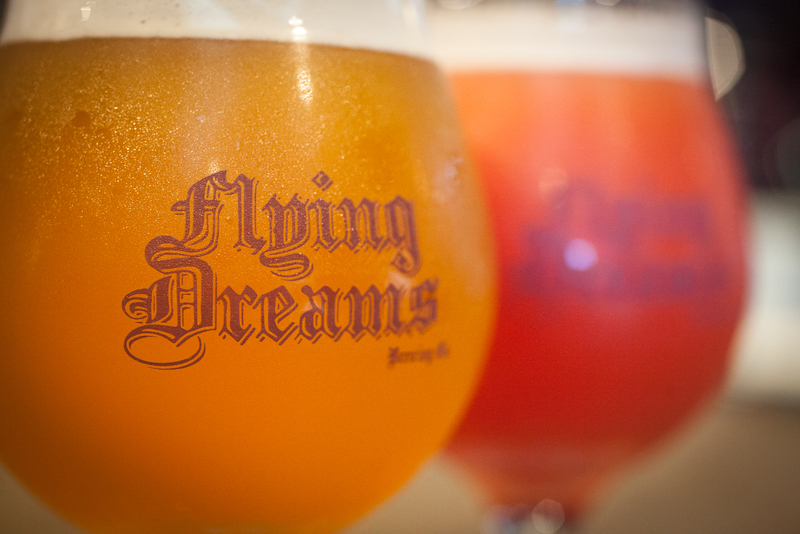 *Free Flight w individual beer purchase. *8 brews on tap today! We are very excited to be adding the next link to our #FlyingDreamsTeam. Welcome our new #DirectorOfSales Christopher Collette!! Time to spread the #flyingdreams love with this guy heading the mission! !